The following 5 steps are the basic steps involve in connecting a Java application with Database using JDBC. Class.forName() is used to load the driver class explicitly. 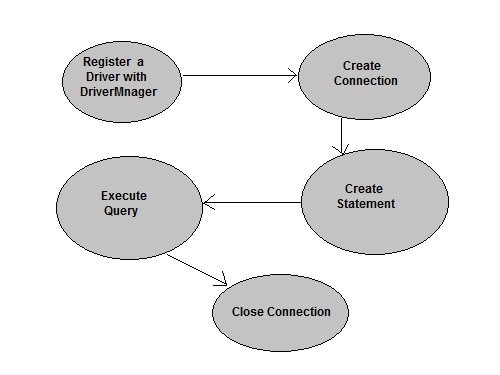 getConnection() method of DriverManager class is used to create a connection. createStatement() method is invoked on current Connection object to create a SQL Statement. executeQuery() method of Statement interface is used to execute SQL statements. After executing SQL statement you need to close the connection and release the session. The close() method of Connection interface is used to close the connection.